The home automation system is interfaced with the alarm system and CCTVs. In this way, it is possible to arm and disarm the burglar alarm (totally or partially), and instantly check the status of all sensors connected to the alarm central unit, directly from the supervision feature of the system and, moreover, you can manage some logics connected to other areas (electrical system) in case of events generated by the security system central unit. IP security cameras are used for video surveillance and they can be installed both outside or inside the house. 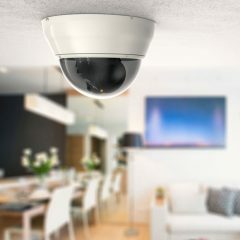 External cameras have an adjustable optic with a motion detection function to avoid false alarms due to external detectors of the security system. All video streams are recorded and available to be checked from the supervision feature even from remote so that you can check what happens inside your home anytime. 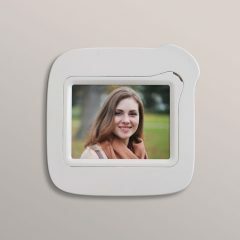 The video-intercoms used are VoIP (Voice over IP) type, and they are directly connected to the local LAN network. 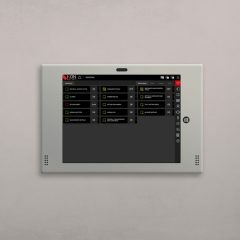 In this way, it is possible to answer to an intercom call directly from the supervision feature of the touchscreen panel of the home automation system or directly from the smartphone if you are away from home. DOMIT is the new brand launched by Martini s.r.l. to offer the best home automation system solutions with a high degree of flexibility and functionality.